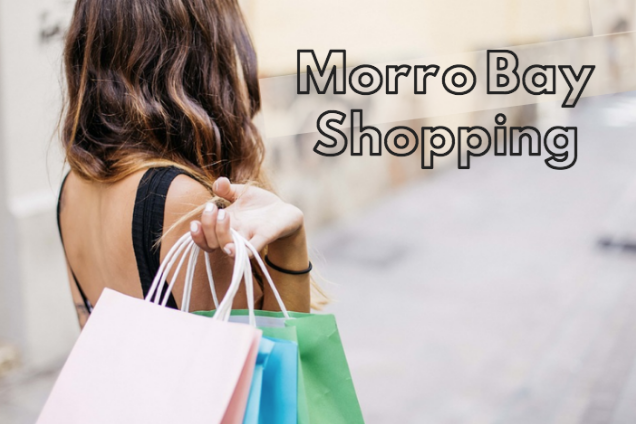 When staying at morro bay hotels, you’ll be near all the exciting things that Morro Bay has to offer such as morro bay shopping opportunities. One of the best places to shop is downtown. Check out all the exciting things you can do when you visit downtown! With Christmas right around the corner, it’s time to start buying gifts for all your family and friends. While buying Christmas gifts is fun, make the experience even more pleasurable by shopping at an outdoor location. Enjoy the beautiful weather and explore the nearly 40 stores at the Premium Outlets. An added bonus as that you’ll save money as outlets are always offering fantastic deals! You’ll find the Pismo Beach Premium Outlets located at 333 Five Cities Drive, Ste 100 in Pismo Beach. Known as SLO to the locals, the San Luis Obispo shopping center head to the Madonna Plaza Shopping Center. This is a charming shopping center located in Downtown. Here, you’ll find a long strip filled with brand names such as Kohl’s and Bed Bath & Beyond as well as smaller boutiques and local shops. As it’s downtown, you’ll also be around delicious restaurants, bars and even a movie theater. Located at 888 Marsh Street in San Luis Obispo, you’ll find the Downtown Centre 7 Cinema. Located next to various restaurants and other downtown locations, the movie theater is the perfect place to enjoy some time to relax with friends or family. Check out the official website to see which movies are screening and for the latest showtimes. This local shop has been around since 1955. Given its long standing presence in the community, its a local favorite that is filled with charm. This family owned company features marine sea shells and is known for having the largest selection of specimens on the Central Coast. The Shop is the perfect place to find decorative corals, unique crafted seashell jewelry and is the perfect place to find a souvenir or local gift!